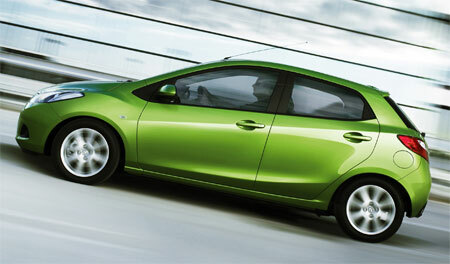 Mazda gives us a preview of it’s new B-segment hatchback, the Mazda 2. Updated to modern Mazda design language, gone is the boxy outlook of it’s predecessor, instead you get a sporty hatch which is reminiscent of the Toyota Yaris. 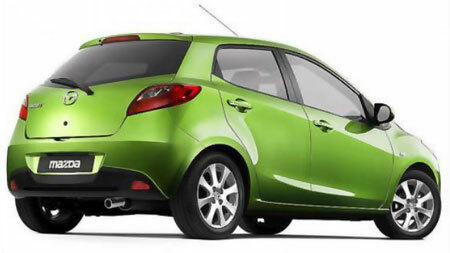 The new Mazda 2 is shorter at 3880mm, however it still keeps an identical wheelbase of 2490mm. It has a sporty front, with a large air dam flanked by two smaller ones hosting fog lamps, and large headlamps, however I have to disagree with their choice of front grille design – something bigger would have looked better. Trunk space is rated at 250 litres, but with the seats down it enlarges to 469 litres of space. 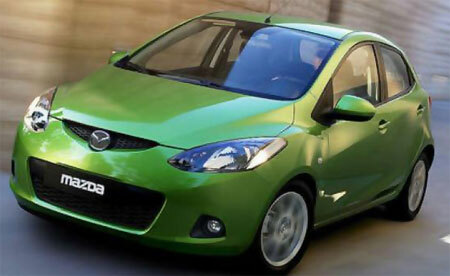 The 2008 Mazda 2 is expected to be unveiled with three engine options, a 1.3 litre petrol (two variants – 74hp/118Nm and 83hp/121Nm), a 1.5 litre petrol (103hp/136Nm) as well as a 1.4 litre turbodiesel. Two more photos of the rear and side profile after the jump.